The same goes for liberal Christian activists who do not take the Word of God to be authoritative who quote Scriptures to make an example of Christians who happen to be for extreme vetting. 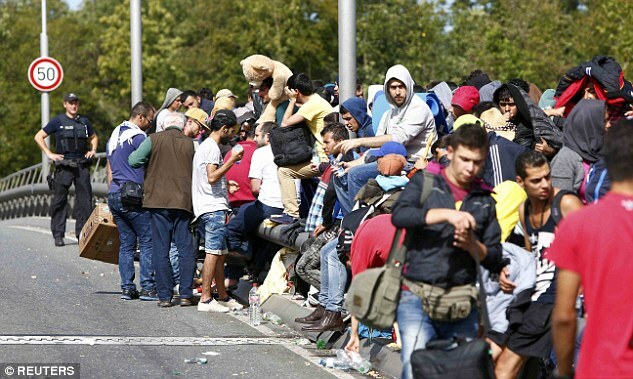 Why are the migrants in Europe mostly men? Where are the women and children Pope Francis? Christians are not balking in fear or being uncompassionate to the refugees. It is called learning a lesson from what’s happening everywhere else and doing something about it before it happens in our own soil, not generated out of fear as the clueless say, but recognizing the looming clear and present danger not just to our safety but also from their ideologies, an end to freedom in the West. If America is indeed the “Great Satan,” why are the Islamists intent to come here? Because they want to put an end to America. I suppose Feminists and women who like to dress however they want would want to give up their usual attire for the Burka??? Pope Francis, you have no right to claim to be a Christian when you are a walking contradiction. Christ lived humbly on Earth while you live in splendor and have the adoration of the world even from those who are not Christians. Jesus’ own words would testify to this. Christ was mocked and spit upon. You are worshipped because you belong to the world. A Spirit-filled believer will see you for who you really are. Pope Francis, is the Vatican taking in refugees? I’m not talking about Italy, but the Vatican. My only hope is that the truth penetrates to whomever reads this, for it is admittedly written in the spirit of sternness. Make no mistake, I do not have hatred for the person of Pope Francis, only the fact that he leads millions of souls astray.